The big, dark spherical shapes should represent smoke coming out of the two towers. 8:46 is a virtual reality experiment. 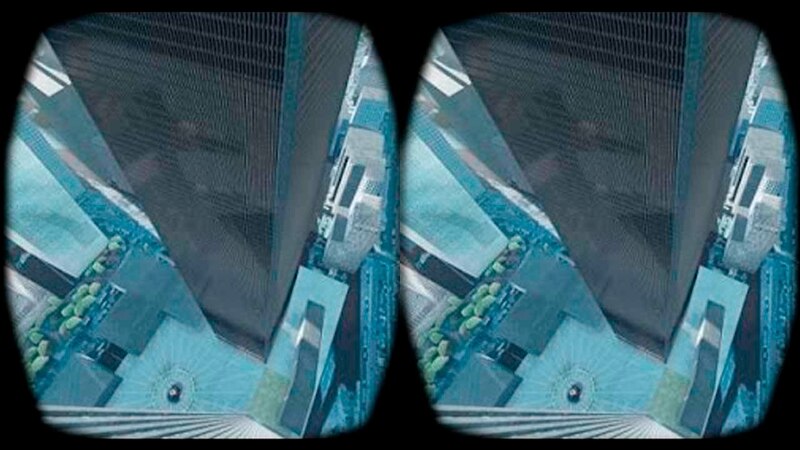 What the team wanted: to offer an immersive view into the tragedy that was the attack on the World Trade Center, which happened on September 11, 2001. 8:46 puts you in the person of an employee working at a desk on the south side of the North Tower. As some of you may remember: the first plane hit the north side of this tower at precisely 8:46. 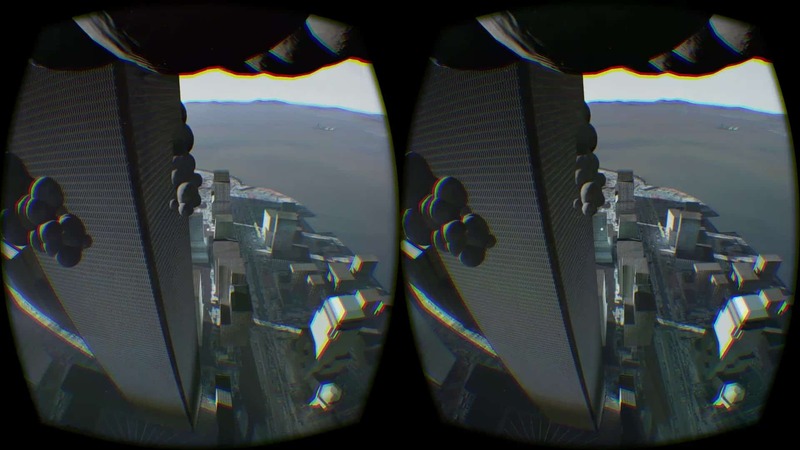 8:46, the immersive VR experience, lets you witness the moments leading up to the disaster. You are quietly sitting at your desk, with an empty spreadsheet on your desktop. Your coworker is making small talk, and answering a phone call. She tells the person on the other side that she would get back to them at around 10 o’clock. And then, right before the disaster, she mentions a meeting the two of you would have to go to. What she doesn’t know is that she won’t be doing any of these two things. This bit shows intelligent and daunting writing. And it would almost pass as authentic, were it not for the feeling you get that the writers were trying too hard. But we’ve talked a lot about what 8:46 is. It may be time to talk about what 8:46 isn’t. After all, the VR app has received so much attention and criticism, that one is inclined to think it was meant to be something big. But the fact is: it wasn’t. Not to dismiss any arguments thrown against it, but this VR app looks like it took a lot of work from a few people with a vision. The problem is: they did not check their idea with the cultural studies bandwagon. The question, therefore, should be not about the content itself, but about what the people behind it did with it. The 8:46 virtual reality experience was developed by a team of six virtual reality enthusiasts who teamed up with two actors for voice and motion capture. Consider: 8:46 is NOT a video game. 8:46 is a student project. It was designed to be presented at the French school ENJMIN. So the target audience was a roomful of students and possibly a few professors. Not even near the number of people it reached online. This partly excuses their cultural bias and their childish approach. In the end: aren’t all student projects supposed to be obnoxious, childish, sketchy, imperfect, and inappropriate? But the even bigger question looms: should this matter? 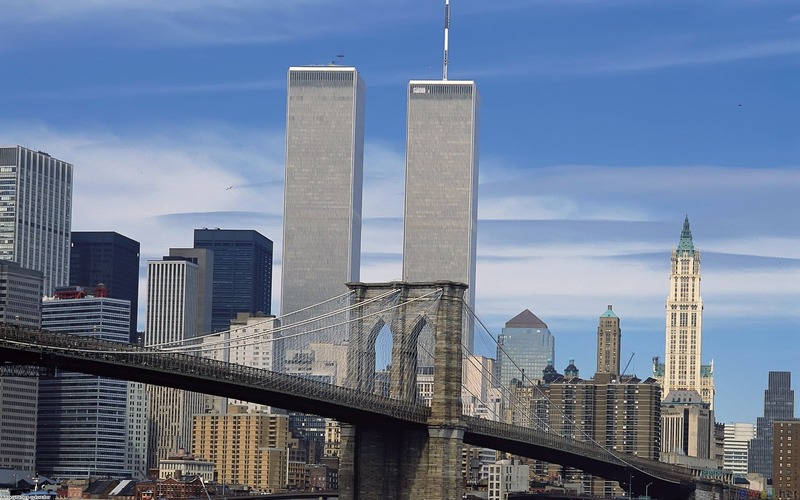 The Twin Towers before the terrorist attack of 9/11. Anthony Krafft – the creative director – says that he and his team wanted to portray the event from the eyes of someone who saw it as it happened. To give the public a new perspective into the mundane aspect of the day, the banal of the workday before everything went downhill: the calm before the storm. The plain crashing into the northern part of the tower, you cannot witness it directly if you’re on the opposite side. You only feel the room shake around you, parts of the ceiling fall to the floor, and your coworker Audrey starts panicking. She thinks it’s a fire. You both run for the exit – but all the stairs are blocked. You can’t find the elevator. All the doors around you are stuck. All in all, a pretty believable experience. Certainly, the thick French accent of the characters doesn’t ruin it. But what does ruin it is the apparent calm of the characters in this situation. While your coworker seems to be somewhere in between panic and quiet contempt, the man that comes to your rescue is unrealistically calm. All in all, I don’t want to take up the exact narrative of the others that have criticized this. From an ethical standpoint, the game sure does pose some disturbing questions. However, it’s not nearly as disturbing as some other accounts of the tragic event. The 2011 movie 8:46, for instance, goes into much melodrama and many sensationalistic details of the whole disaster, creating a disrespectful kitsch from a human tragedy. As Krafft put it: they couldn’t make something “sensationalist” or “obscene”, out of respect for the victims and for their families. This is something that too few people that approached the subject have taken into account. On the other hand, Krafft mentions their need for accuracy. He states the sources that they used for the final product: interviews with survivors, journalistic recounts of the situation, and even plans of the floors. However, I would argue that despite their extensive research, the virtual reality experience still comes off as mildly offensive and its characters still appear unrealistic. When a man struggling to find an exit says, in a very mild voice, that he will “try to find out where the others are” the accuracy that Krafft speaks about is, in essence, ruined. Completely. I don’t know about you, but this doesn’t seem convincing at all to me. 8:46, the VR experience, while remaining a student project, has become available for free, for anyone to try if they own the latest version of the Oculus Rift. However, criticism has flared up as or recent, with widows and survivors calling the experience “disgusting.” The main arguments say that it should not be something to experience via goggles. Pierre-Yves Revellin, another member of the team that helped create the project, defends against this criticism by saying that their intention was to help people form emotional connections with the victims. Given that most of the team is around 20 years of age, it’s easy to see why they would resort to VR to satisfy their curiosity. Revellin also says that, unlike external point-of-view stories (such as the movie mentioned above), theirs is warmer because it touches the essence of what it meant to be there. Taking a moral standpoint, we feel inclined to hear Revellin and Krafft’s opinions, but would ultimately favor a Twitter user that said that there shouldn’t be the need for a simulator of 9/11. People should be able to empathize without any help from 8:46, or from virtual reality, twitter user @icystorm said. 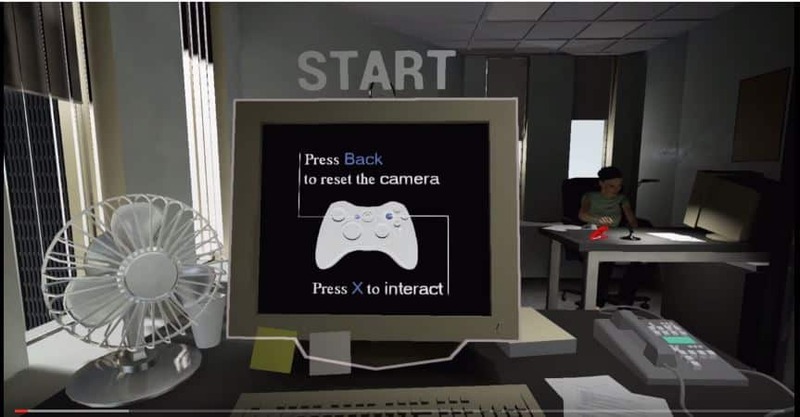 Have a look at a walkthrough of the VR experience that is 8:46. WARNING: some of you may find this disturbing and/or offensive.